How to reach AdSpirit employees? 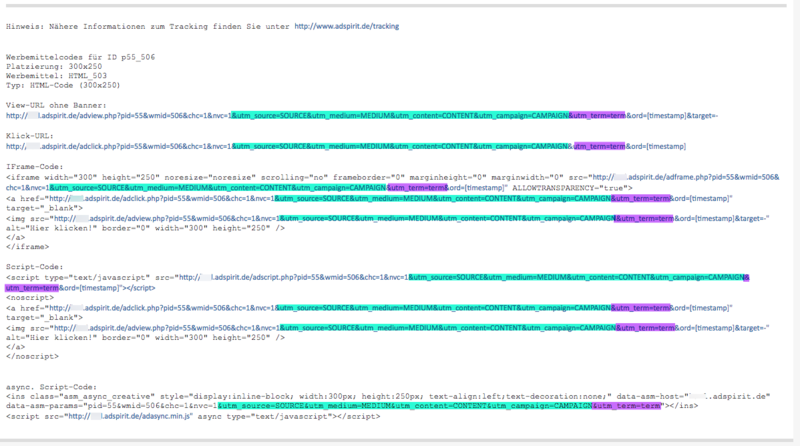 Why do I have discrepancies between Google Analytics vs. AdSpirit? Bot traffic - How AdSpirit deal with it? Why there will be variations in geo-targeting? If a wallpaper is booked, come no other advertising media more. What can I do? How do I automatically hang on Google Analytics parameters? 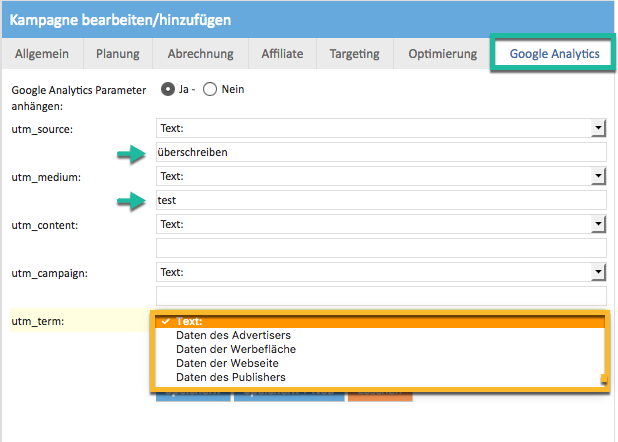 For this, the activation of the module Google Analytics module is required. 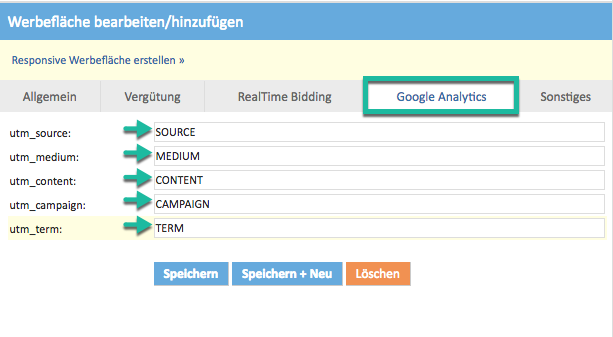 IMPORTANT: Leave the Analytics parameters in the advertising space is not sufficient! 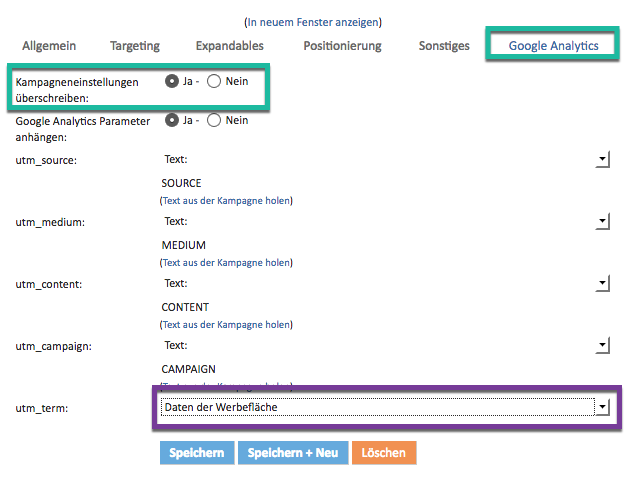 There must always necessarily in that campaign and / or the ads, select "Google Analytics attach parameters" must be activated. Once this option is selected, you can select which source you want to use the data (eg, whether or deposited with the text advertising space to be used by the campaign, or ...). If the option is enabled, each time you click the redirect URL (usually this is the web page URL) appended Google parameters.